Creating a information superhighway in the midst of the battlefield is really a challenging task but with the advent of new technologies the hyper bandwidth data flow can knock down the opponent within hours of hostility with an approach: no kill but all stop. The overall objective is to generate capability to gain real information superiority. A good understanding of blue and red targets is the foundation for generating a single integrated situation picture. Thereby allowing the commanders and staff elements to observe the battlefield, share the information and take action in the most efficient way. No doubt, collected information from surveillance, intelligence and identification systems as well as commercial and other governmental sources all contributes to common situation awareness. Technology is rapidly advancing in these areas today. Unmanned Vehicles such as UAVs represent technologies that bring new capabilities such as persistence and battle space awareness in air, ground and sea domains. Once information is available and fused it must be presented to Commanders and staff elements in an understandable manner. Units and Commanders in the chain of command are to be sharing their part of the single integrated picture related to their mission and role. In short that means that anyone connected into the network can access information and services needed for the action. A major challenge is to manage the information flow, reliability and security issues, therefore, research and technology development has to provide user-friendly applications. Throughout the twentieth century, advancements in technology have coincided with significant developments in the way militaries of the world wage combat. From the use of cavalry units at the outbreak of the First World War to the deployment of Unmanned Aerial Vehicles in Operation Allied Force, technology has allowed the way in which military operations are conducted to evolve considerably. If one looks into the twenty-first century, technology continues to play a greater role in the way these militaries operate. However, it is not simply new weapons, aircraft or warships that are transforming the militaries of today. The way in which forces communicate, disseminate intelligence, are issued orders, and report back to their commanders has been revolutionised through the use of networks. More specifically, computer, radio and data networks link nearly all military assets at a state’s disposal to each other and to the decision makers. From the nuclear ballistic missile submarines lurking under the oceans to the commanders on the ground in Afghanistan, the doctrine of network centric warfare gives a military the ability to ‘to attain a high level of shared battle space awareness that is exploited to achieve strategic, operational, and tactical objectives in accordance with the commander’s intent. This includes not just joint warfare in a specific theatre of operations, but also the coordination of dispersed forces on a global level. There are various definitions of the term Network Centric Warfare (NCW), although all agree that NCW’s basic tenet is the use of networked technology to provide an advantage on the battlefield. Recently, a US Congressional Research Service report defines network-centric operations (NCO being a term used interchangeably with NCW) as operations that rely ‘on computer equipment and networked communications technology to provide a shared awareness of the battle space for US forces’. Other nations may refer to the concept differently; the United Kingdom, for example, denotes this as Network Enabled Capability. 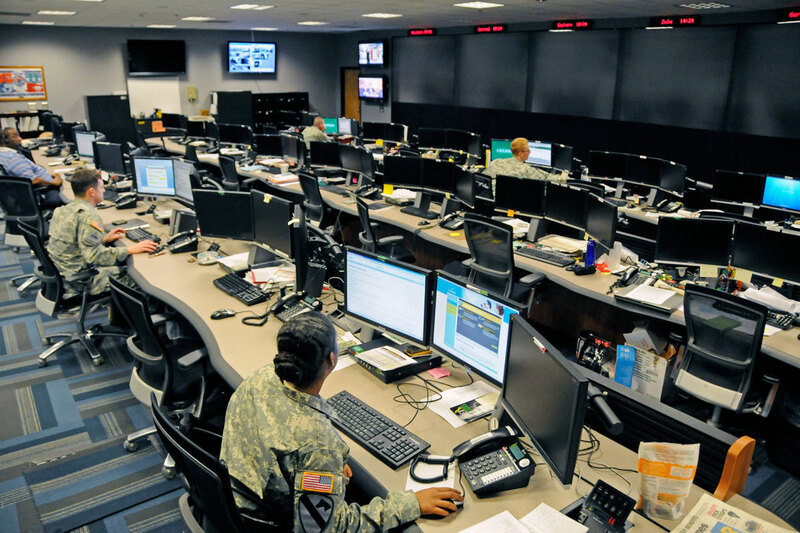 Nowadays it is important to enhance a military’s war-fighting capability and to increase the likelihood of success in operations, a network-centric approach to military operations is paramount. Whilst one must be careful not to over-react to lessons emerging from recent conflict, one can begin to see that the nature of the battle space and the way in which one operates is evolving over time - by looking first to the Gulf War and then more recent operations. The first Gulf War and to an extent operations in Kosovo were linear operations with distinct phases, lines of operation and deconfliction of the battle space by forward planning. However, despite the highly politically charged debate about the commitment of ground forces, this was not an operation from which one could derive clear lessons about joint operations. However, it did expose the difficulty of targeting from the air low signature, well camouflaged and dispersed forces. One can talk in terms of air campaigns, about ground manoeuvre as if it was a discrete function or the value of being able to hold an adversary’s capability at constant risk by manoeuvring from the sea. Commanders dutifully inject so-called joint credentials into the debate, but there is a consistent tendency to underplay a single Services’ weaknesses whilst overplaying its strengths. Spatial precision is now being realised on a significant scale - enough now to consider it the norm for most targeting. Paradoxically, it is much easier to generate the wrong effects on the rare occasions that the weapons miss and this will place greater stress on information and media campaigns. But one must think now in terms of precise effect, not just precision per se. Targets are now relatively easy to acquire and strike - but it is generating and measuring the effect that really counts. The strong persistence of capabilities across all environments provided the key to more responsive targeting. UAVs will play an ever stronger role and they are beginning to realise their potential through closer integration into operations. Air to air refueling seems to be a potent force multiplier increasing both reach and persistence but now, in conjunction with information sharing, can provide the backbone of tactical responsiveness by allowing the necessary time on station to deal with the unforeseen. This is a subtle but important change that is being missed by many commentators. One must strive to increase the ability to undertake this most demanding discipline and joint fires programmes - in all of their manifestations - are critical to future success. But there is some way to go yet with certain capabilities and the difficulties of employing air in urban terrain is a good example. One needs to pursue weapon design, delivery techniques and even procedure to enable better use of tactical air in the deep urban battle. The future battle space will be different in one significant way. It will be information rich. Given that the actions undertaken by the military are most often in the physical domain, the use of a physical frame of reference for the battle space is an obvious and important choice. Effects Based Operations view the battle space through lenses that represent the many dimensions of the strategic environment, because effects can be generated across them all. The representations of each strategic dimension will enrich the physical frame of reference, providing areas of greater or lesser clarity depending on the level of information available and the ability of commanders to resolve the totality of what has been presented. The result could be likened to an unevenly lit landscape, with the level of illumination reflecting the amount of information resolution and understanding achieved. These illumination levels would be in a state of constant flux. The use of traditional ISR could increase the level of resolution, but it must be stressed that, as the battle space must be viewed through all the dimensions of the strategic environment, increasing the information available in only one dimension might not lead to sufficient resolution overall. It appears certain that the entire battle space will never be fully resolved; therefore the conceptual model is one of variable resolution. The zones of shadow and light within the battle space will produce both problems and opportunities for the commanders of the future. Most important, the clarity of each lens through which a commander looks at the battle space will be a function of his culture, training and experience. The transformation will be an ongoing process and involving people, doctrine, units and technology. Training, exercises and experimentation will be standard procedures on the way ahead. Network Based Defence concept will affect the way we think, train and fight. Network Based Defence entails a way of operations that makes full use of modern technology. The key word in NBD is collaboration. Collaboration should take place among commanders, war fighters, different systems – units from Army, Navy and Air Force services. Civil authorities and international missions will benefit from the NBD concept. The NBD concept is based on an ability to communicate and share information with a focus on generating capabilities to execute the Armed Forces missions whenever required. Since one is living in an era defined by many as the ‘information age’, technology is all around us and in one form or another related to everything we do, with warfare being no different. Some describe the increasing role that technology plays in war as a technical revolution in military affairs that is changing the nature of war fighting and security operations. Whether or not it is justifiable to regard this as a revolution in military affairs, it is at least widely agreed that technology is rapidly changing the way military objectives are accomplished. 1. A robustly networked force improves information sharing. 3. Shared situational awareness enables self-synchronization. 4. These, in turn, dramatically increase mission effectiveness. Obviously, any method of conducting operations that is expected to increase mission effectiveness will be welcomed by any armed forces. Those military forces that are truly joint, with comprehensively integrated capabilities and operating according to the principles of NCW, can fully exploit the highly path-dependent nature of Information Age warfare. This certainly enforces the view that modern military operations require a network-centric approach to be effective. Of course, the chances of a military facing an almost-symmetric opponent with the only difference between them being one side conforming to the NCW doctrine is extremely rare, so the validity of the first statement is certainly questionable. Nonetheless, it is indubitable that possessing an NCW capability does indeed prove to be a ‘game changer’ when facing an enemy who does not possess such capability. Another key advantage of the NCW doctrine is the ability for Command & Control (C2) of forces spread over a large geographical area (perhaps in different theatres) in a more expeditious and efficient manner. The ability to disseminate instructions, information and intelligence to assets dispersed across the globe is particularly vital for those forces which are likely to be involved in expeditionary warfare, such as those of the United States and to a lesser extent the United Kingdom, who at present have a global reach. Having previously described the reasons why NCW is an integral part of modern military operations, it is important to understand how NCW doctrine has been applied in practical situations. The US-led invasion of Afghanistan in 2001 provides just one of many examples of the successful deployment of the NCW theory of war. One can see how during Operation Enduring Freedom Special Forces on the ground were able to use data and voice links provided by communication satellites to co-ordinate their efforts. Not only were the ground forces able to communicate with each other, but also with F-14’s, F-15E’s, B-1 and B-2 aircraft by laser designating targets that the air support would later destroy with Joint Direct Attack Munitions (JDAM). JDAM-equipped ‘smart munitions’ are guided to their targets by an inertial guidance system and the global positioning system (GPS), once again making use of space-based technologies. Further to this Colonel Harry Tunnell, who was Commander of Task Force Stryker in Afghanistan, has written about how valuable NCW was on the battlefield. Tunnell concluded that NCW enhanced operations and developed rapid, effective situational understanding. True network-centric operations are far more than merely improved situational awareness—they include a level of understanding that can only be gained through disciplined research and analysis. Moving away from surface warfare, another example of NCW’s success in operations is Link 16, and the advantage it gives to the air forces that make use of it. Link 16, also known as TADIL-J (Tactical Digital Information Link J) is described as a communication, navigation, and identification system that supports information exchange between tactical command, control, communications, computers, and intelligence (C4I) systems. The system uses encrypted messages and transmissions which are jam resistant to provide the user with a whole host of possible applications. These include surveillance, electronic warfare, mission management/weapons coordination, air control, positive friendly identification and network management. The RAND Corporation’s National Defense Research Institute (NDRI) conducted a case study to determine the impact of using Link 16 in an air-to-air combat situation. NDRI summarised their findings by stating that when Link 16 was used ‘the quality of information available to individual fighter pilots was increased significantly and that pilots were on average able to make better decisions and make decisions earlier in the opening gambits of tactical air-to-air engagements. This resulted in greatly increased force effectiveness. Link 16, combined with the Eurofighter Typhoon’s long range radar provided pilots with ‘exceptional and unrivalled situational awareness of the operating area during Operation ELLAMYover Libya in 2011. The system has also seen operational use over Bosnia, Iraq and Afghanistan. Thus far, both the theoretical concepts surrounding NCW and the practical uses of the doctrine have been described. One can see evidence from recent military operations that in the increasingly technological theatre of war a network centric approach to modern military operations in indispensable for achieving information dominance and an upper hand over any potential adversary. Although it can be assumed how Network Centric Warfare is an integral component of modern conflict, NCW is not without its deficiencies. It is important to address these issues so as to give a fuller insight into the NCW concept. One of the major issues identified with NCW is a heavy reliance on technology, particularly infrastructure. There are various reasons why reliance on infrastructure brings with it significant risk. It can become the ‘primary centre of gravity for opponents to exploit’. This is particularly hazardous if alternative ways of working are not available. If NCW becomes so critical to warfare that forces become incapable of fighting in a non-network centric fashion, there is little doubt that any disruption to networks that they are dependent on could be catastrophic and potentially crippling for a military. Nor is there any doubt that a capable enemy would attempt to exploit this weakness by disrupting networks. A case in point would be the proliferation of GPS jammers. The Commander of United States Air Force Space Command has identified that US forces have a very heavy reliance on space and one can consider GPS foundational in military operations. Indeed, GPS has been described as the core asset required for NCW to work. However, in recent years GPS jammers which can block GPS signals have become more widely available than ever before. If a jammer is used by an enemy it has the potential to eliminate GPS navigation and precision guidance capabilities within an extensive area of operations. Quite clearly, a loss of GPS capability would have calamitous effects on the US’ war fighting capability, as would be the case with the majority of the world’s armed forces that utilise the GPS system. This would be mostly damaging for those forces relying on network-centric navigational systems, to which GPS is a major component. No doubt today the Network Centric Warfare has been established as a core element of modern military operations. Given the ever-evolving and increasing role that technology possesses in warfare, NCW becomes more crucial to make certain that forces have the information, intelligence and situational awareness they require to achieve their objectives. Not only is technology changing conflict, but the manner in which militaries wage war is also changing. An increasingly prevalent theory of war is that of joint operations, defined by the US Department of Defense as military actions conducted by joint forces and those Service forces in specified command relationships with each other. As armies, air forces and navies work together to achieve political goals, warfare becomes more complex and operations become larger. The evidence suggests that NCW brings a degree of clarity and awareness to the battlefield. Using communications technology to provide even dispersed forces with the latest information guarantees that forces are better informed and therefore more likely to make the right decisions. Successful joint operations depend on a number of very different but capable forces working together. A centralised C4ISTAR infrastructure as part of the NCW doctrine can oversee such joint operations and act as a hub for communication with and direction of any of the units in the theatre, be it a Tornado GR4 or a team of Special Forces. Thus, NCW is an integration of sensors, decision-makers, weapons platforms and support capabilities to enable agility providing interoperability and collaboration within and between services. NCW provides a level of situational awareness that allows the military to be more flexible, which without doubt increases mission effectiveness. However, it is clear that NCW is not by any means without flaws. A heavy reliance on technology is problematic, as it cannot be ruled out that technology may fail, may not be available at the time, or as discussed earlier, may be targeted by an enemy to reduce war-fighting capability. As NCW becomes more predominant, steps must be taken to safeguard it from malicious action. It is also imperative that forces can operate in a fall back mode without the NCW doctrine, if required of them. Assuming that these vulnerabilities can be addressed, it has been shown that Network Centric Warfare is an essential element of modern military operations. It is increasingly relevant to conduct warfare in such a manner that, as a force multiplier, considerably increases a military’s ability to be successful in a wide range of operations.